As you know, in business, people buy from people. This means, to be successful, you’ve got to work your know, like, trust factor. And that requires an investment in relationship building. You see your customer’s buying habits have changed. Thanks to the internet we’re now more informed than ever and the likelihood is potential clients are researching online even before they make contact with you. Therefore, you’ve got to work a lot harder at differentiating your offer and ensuring you standout from the competition. And the quickest route is to shift your positioning from “salesperson”, to “trusted expert” by proactively focusing on your relationships. Enhances the quality of the interactions and conversations you have with customers and potential clients. 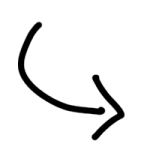 Is the catalyst to build your know, like, trust factor. Encourages your audience to choose you over all the other options they have available. Nurtures leads and increases your customer lifetime value. It’s a powerful strategy that can totally transform the fortunes of your business. The tricky bit is the HOW. Just how do make the shift from stranger to a trusted expert who’s an important part of your customers’ life (in the context of which you have that relationship)? You’ve probably figured out I’m a big fan of relationship building and content marketing. What’s more, a lot of the work I do with clients involves creating content that helps position them as a trusted, reliable expert in their chosen niche. From blog post writing to eBook creation, I’m skilled and experienced at using words to establish authority. I decided to package up my knowledge and ideas about using words to build relationships into a free eCourse. And you can access this information right now. Simply join 30 Days of Copywriting Love and you’ll receive a different tool, tip or technique each day for a month. Each email is less than 500 words and contains a Copywriting Gem – it’s an easy way to get your hands on proven ideas to grow relationships and build your business. Remember. If you’re not actively and consistently building relationships you will miss out. 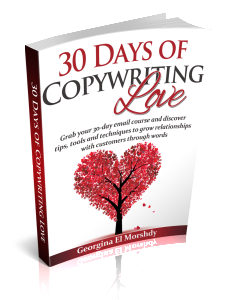 So get the information you need to outsmart your competition and join 30 Days of Copywriting Love today. I would be interested in receiving the free copywriting tips, thanks.